Head on over to enter and you’ll get the chance to win a trip to one of five European destinations that are celebrated for their coffee. You’ll also have the chance to win one of five Barista Prima Coffeehouse gift packages or 1 of 90 instant win prizes available. 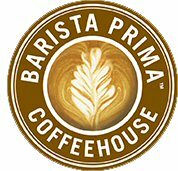 The first 15,000 will also receive a sample of Barista Prima Coffeehouse! Click here to enter the contest now.